Fran Ulmer’s legacy of public service in Alaska spans over 40 years and is still going strong. Her achievements reflect a commitment to community, a strong work ethic, and a first-hand appreciation for the state's unique people and resources. As a leader in public policy, planning, and education, Fran is an inspiration to women and all Alaskans. ​Fran lives in Anchorage and has two adult children and one grandchild. Fran grew up in a small Wisconsin town, where her family played an active role in shaping their community. Her grandfather spearheaded efforts to establish the Horicon National Wildlife Refuge, near her family's home. Fran enjoyed hiking, fishing, canoeing, and ice-skating in the refuge, inspiring a life-long interest in the outdoors. 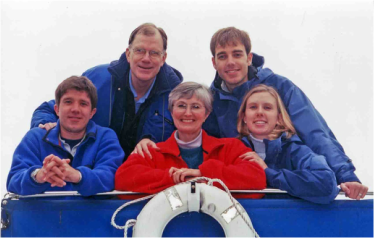 Fran's parents continued the tradition of community leadership. Her mother became the first woman to be elected to the school board in their small town. Her parents believed a person could achieve anything with hard work and a positive attitude. Fran took these lessons to heart, helping in the family business, and supporting her school community as the student body president, drum major, and member of the debate team. She went on to study political science, economics, and law at the University of Wisconsin. Fran loved to perform from an early age. She sang for services at her parents’ funeral home, in college musicals, on a USO tour of Greenland and Iceland, and in Juneau Lyric Opera productions. 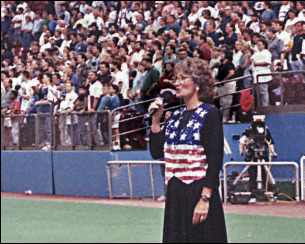 In 1994, Fran was invited to sing the National Anthem during a Mariners game at the Kingdome in honor of Alaska Day. 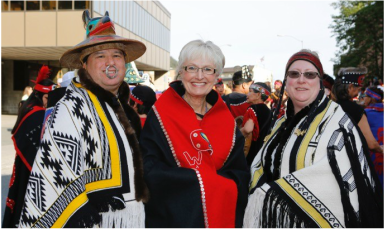 ​Fran moved to Juneau shortly after completing her Law Degree in 1972. She soon became immersed in Alaska’s unique issues as the first woman legislative attorney. In 1977, Governor Hammond appointed her as the director of the Division of Policy Development and Planning (DPDP). In this role, Fran set up the coastal management program, coordinating state, federal, and local groups to provide coastal communities with a voice in regional development. ​In 1994, Fran became the state’s first woman Lieutenant Governor, transforming the state’s voting system and modernizing state services through telecommunications. ​In 2002, the Alaska Democratic Party nominated Fran to run for governor. After losing the race to Frank Murkowski, Fran focussed her talents on education. 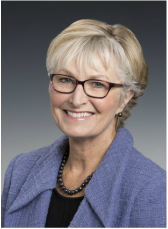 She completed a Fellowship at Harvard’s Kennedy School of Government, and began a new phase of her career at the University of Alaska – as a public policy professor, Director of the Institute of Social and Economic Research (ISER), and finally as Chancellor. 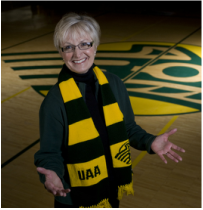 Under Fran’s leadership, the university expanded its connections within the community and raised funds to construct several new facilities. Fran's reputation as a resource policy expert led to an appointment to the National Commission on the BP Deepwater Horizon Oil Spill and Offshore Drilling in June, 2010. 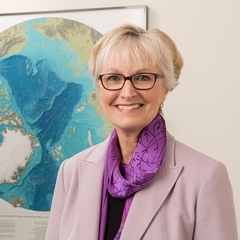 The following year, President Obama appointed Fran to her current position as chair of the US Arctic Research Commission. She currently serves on the boards of the Nature Conservancy, National Parks Conservation Association, and First National Bank Alaska. Fran has mentored and inspired generations of young women to a life of public service. She was elected Athena Woman of the Year in 2007; two years later she earned a place in the Alaska Women's Hall of Fame. She attended and graduated from law school during a time when there were few professional opportunities for women. She went on to hold a number of "firsts" in Alaska: first woman legislative attorney, and the only woman Lieutenant Governor. Throughout her busy career, Fran has been a role model for many women who watched her achieve the difficult balance between work and family.